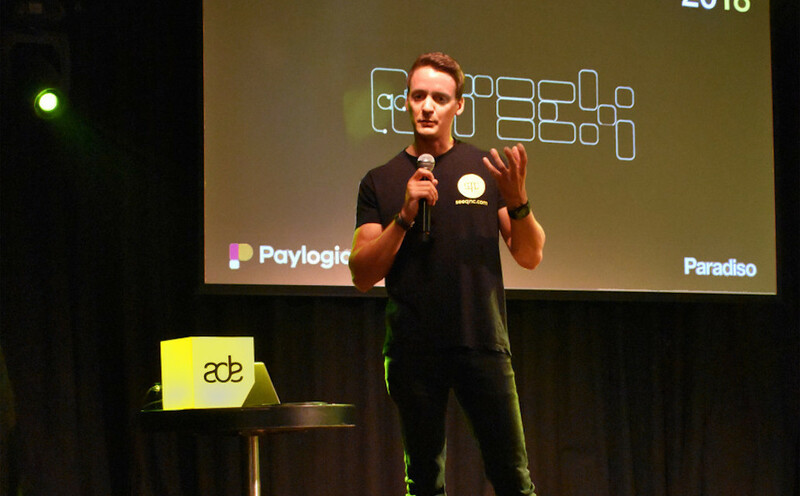 In the weeks leading up to ADE Tech we will be presenting five companies that are all very much worth taking notice of. We believe they and their technology could change the music industry of today, and the next 12 months will be the most important for them as they try to make that happen. The winner will be followed through all its highs and lows over the next year via the ADE Blog, but in the meantime come and check out whose ideas you support at the final of this exciting competition on Thursday on the main stage of De La Mar starting at noon. The winner will be announced at the end of the session at 1:30 PM. After our recent updates about the start-up challenge, round one of Companies to Watch and a year in the life of the previous winner Muzooka, we continue with the first batch of finalists. Amuse: What would a record label look like if it was founded today? The way music is produced and consumed has dramatically changed, but traditional labels have not. Amuse was founded in 2015 by music industry executives with a collective ambition to re-imagine how artists break through and how labels are run. Amuse built a record company on top of a music distributor, offering free music distribution to everyone, where artists keep 100% of their royalties while still owning all of their rights. With the help of a user-friendly and transparent interface, artists can track their progress daily and see how people listen and download. At the back-end, Amuse’s set of algorithms constantly navigate through the uploaded tracks to pinpoint rising talent, which effectively means 24/7 global, unbiased A&R. Our record label uses that data to sign and build platinum-selling artists. Amuse believes that artists should own their own work, and consequently only offers non-obligation license deals. That means that the label helps artists reach the next level in their career through financing, marketing, promotion and playlist pitching, splitting revenue 50/50. Since the Amuse service launched in spring 2017, it’s been growing steadily. The company has gone from 10 employees to 50, all the while building platinum artists, raising $15.5 million in Series A funding, adding the legendary will.i.am to the founding team and opening offices in Los Angeles and Bogotá. According to the people at Seeqnc, music producers have a right to know who is playing their music when, where, and how often. Imagine a world where you get notified instantly every single time your song is being played during a live performance, in any studio, club or other venue. When you realise how this empowers you as an artist, it has the potential to shift the entire industry to a new place! But what could you do with this information? It can show you what songs work where and by and for whom, you could promote your tracks more efficiently and track the results, build new relationships with those DJs playing your music and the audience that hears it, and ultimately gather a comprehensive picture of both your musical footprint and your royalty rights. Seeqnc is an Austrian tech start-up providing the world’s first service aimed at international DJs and labels to enable them to track and analyse where their music is being played in real-time. The company is on a mission to boost the importance of music performed live to a whole new level – for artists and producers globally. ADE Tech features emerging hardware and software and showcases some of the brightest minds of our generation. It runs on Thursday, October 18th in the DeLaMar Theater and tickets are available here. The event is also accessible for ADE Pass & ADE Conference Pass holders. The various passes are available here.